ASUS are a brand which never appear to stand still and cease to innovate. Not only does the brand’s diverse portfolio now stretch into that of premium gaming displays but their Republic of Gamers motherboards are commonly jam-packed with creative features for both gamer and enthusiast alike. Off the back of the great success of their Maximus VIII Hero, the ROG team are back with another release today in the form of Maximus VIII Hero Alpha. Maximus VIII Hero Alpha looks identical to the standard Hero and an initial observation confirms the same theme has been implemented and a majority of the same features utilised. However, Alpha brings with it a number of significant improvements over its sibling with dual 32Gbps U.2 ports for NVMe storage, up to 3 PCI Express RAID devices, 802.11ac WiFi, RGB Strip headers and the Intel USB 3.1 controller. Does the features warrant a purchase? Find out as we explore this new motherboard. For almost a decade, Republic of Gamers (ROG) has delivered exemplary design and performance to thrill the world's best gamers and PC enthusiasts. But our work has only just begun. 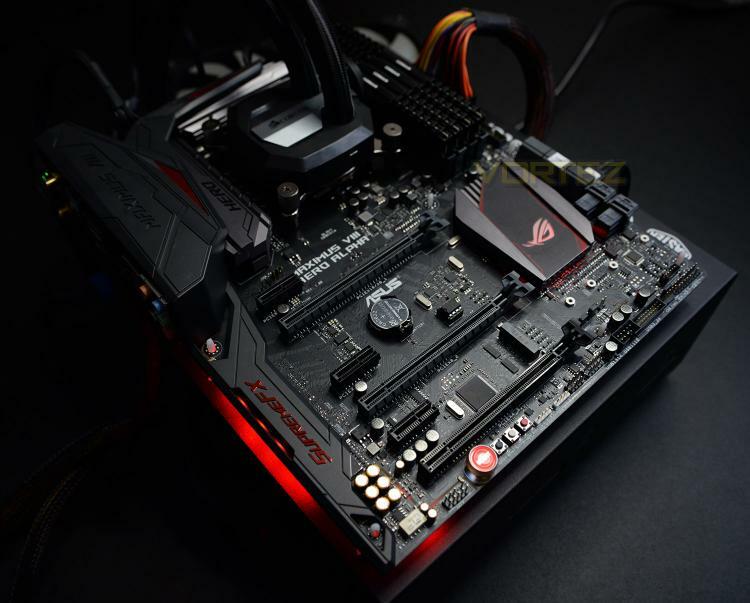 With our pimped, pumped and packed Maximus VIII Hero Alpha motherboard, competitors be warned, gamers get set and enthusiasts prepare to push your limits — ROG is ready to accept all challenges!